Many years ago, before I worked for Syzygy, I worked as a gardener. I learned all about plants, how to nurture and care for them, know the right place to plant them, and how to protect them from harm and help them thrive. 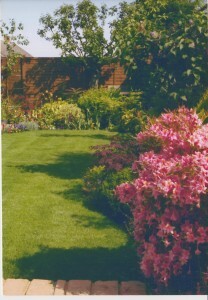 Careful preparation and nurturing led my plants to thrive and I designed and built beautiful gardens. Since leaving that behind and working instead with mission workers, I have come to the conclusion that mission workers are rather similar to the plants. They need careful preparation. They need to be put in the right location for them to thrive. They need protection and support – and occasional pruning so that they can produce more fruit! One mistake that uninformed gardeners can make when growing trees is to stake them too firmly. Aware of the possibility that strong winds might blow an immature tree over, gardeners can be tempted to tie their trees up so tightly that they can’t even move. Which leads to a problem: the trees never need to develop sturdy roots. So they grow up vulnerable, and not even the stakes can stop them blowing over. A better technique is to stake them loosely – firm enough so that they can’t blow over but loosely enough to allow them to wobble in the wind. The tree’s response is to send its roots deeper to stabilise itself. Which results in a stronger, more resilient tree, able to weather storms and find water in times of drought. It endures for decades, growing large, providing food and shelter for others, and sustaining the environment. This, to me, is the essence of member care. Not wrapping people up in cotton wool and protecting them from every potential hazard. That only creates vulnerable mission workers. The strong mission workers are those who have endured some hardships and setbacks, been supported and encouraged in the midst of this experience, learned some lessons and carried on. Go to the European Member Care Consultation – this biennial meeting takes place next in March 2016 in Germany and will provide workshops for beginners as well as masterclasses for the more experienced. Book soon as the early bird discount expires next week! Follow this link for more details. Become part of your national member care network – many countries have member care networks. You can find out about some of the European ones on the website of Member Care Europe; other continents can be found at the Global Member Care Network. Such networks provide confererences and training for their members. Read some books – we particularly recommend Neal Pirolo’s book Serving as Senders and Larrie Gardner’s Healthy, Resilient and Effective. 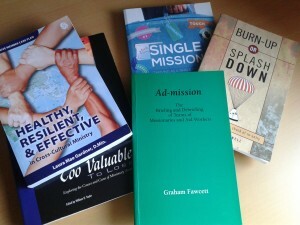 You can find more books on our reading list and we’ve recommended several which we find useful in other blogs. Study for an MA – want to take it further? Redcliffe College does an MA in member care which is ideal for refining your skills.